DISCLOSURE: I received a free bottle of Airborne Gummies from Smiley360 to try and review. My opinions are my own. Cold season is upon us. With a job and four kids to take care of, I can't afford to get sick. It's nice to know that in addition to eating right, drinking plenty of water, getting enough sleep and using proper hygiene, there are products available to help support your immune system. 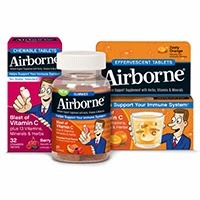 I recently had the opportunity to try Airborne Immune Support Supplements. It's packed with a unique blend of vitamins, minerals, herbs and a blast of Vitamin C. It's available in several forms and flavors, including effervescent tablets, gummies, chewable tablets, and lozenges. 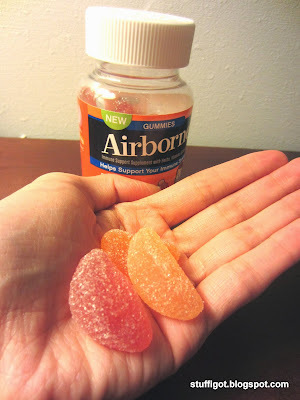 I had the chance to try the Airborne Gummies in Assorted Fruit Flavors. I usually prefer to take supplements in gummy form. It often tastes better and makes me more likely to want to take it. For example, I take a prenatal vitamin in gummy form. When I was taking it in pill form, I would often forget to take it. Now, that I use a gummy form, I remember to take it pretty much everyday. It's like a treat! 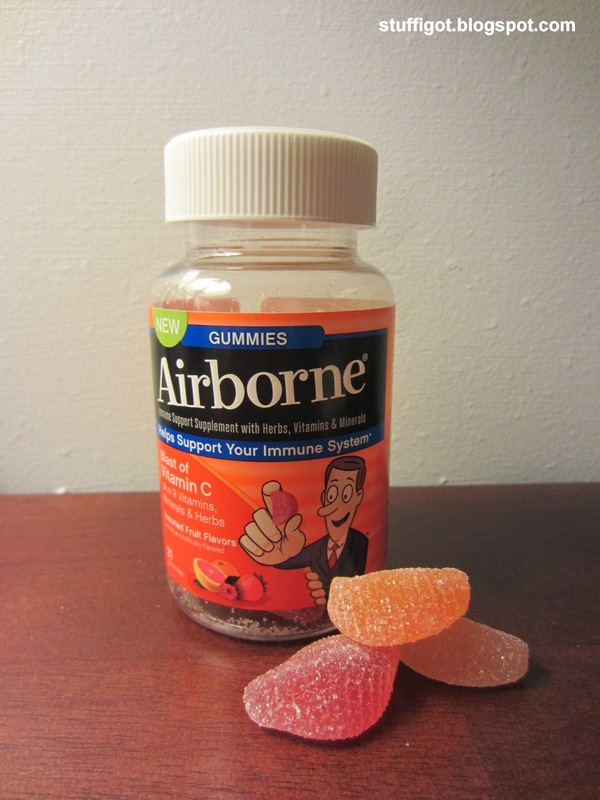 Each bottle of Airborne Gummies contains citrus, mixed berry, and grapefruit-flavored gummies. The recommended daily dose is three gummies and can be taken up to three times a day. It's recommended not to exceed 9 gummies per day and to chew thoroughly before swallowing. Earlier today, I gave the gummies a try. I wanted to try one of each flavor. I only managed to try the citrus and grapefruit ones. I DID NOT like the flavor and just couldn't even try chewing the mixed berry. For one thing, the texture was different from what I was expecting. Other gummy supplements I've tried have had a soft, easy-to-chew texture. I found the Airborne gummies to be harder to chew. They also weren't very sweet and actually had a medicinal taste to it. Even hours later, I still taste that medicine flavor in my mouth and I've had other things to eat since then! I would not recommend the gummy form. I really did not like the flavor. Maybe if they were sweeter and softer and didn't have that medicine taste. I wish I had had the chance to try the effervescent tablets. That might have been better. Just drop one tablet in water and drink. Maybe that would taste better. Products range from $7.99 to $14.99, depending on the size of the package. It's available in all major drug stores, mass merchandisers, grocery stores and online retailers.